Just before Eurovision arrives in Israel, momentarily making the country the unofficial LGBTQ world headquarters, there is already someone showcasing this side of Tel Aviv and Israel. Meet Slav Adam Leibin, 32, who was born in Belarus. 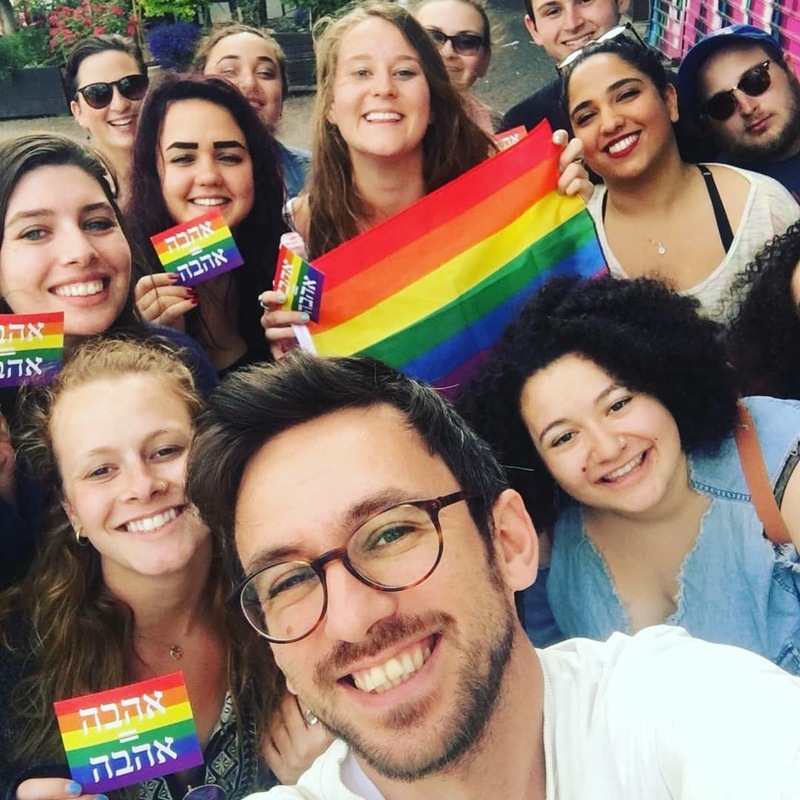 His journey as an emissary of The Jewish Agency (shaliach) led to his personal strength to come out which inspired him to found Rainbow Tour – an organized excursion to see LGBTQ sites in Tel Aviv which he has already given to thousands of Jewish visitors to Israel. When Leibin arrived at Princeton, he found a campus with about 8,000 students, of whom a few hundred were active Jews. Before leaving for Princeton, he attended a Jewish Agency training seminar, which gave him the tools to build his self confidence. “I went to Princeton on behalf of The Jewish Agency, but I spoke with my own voice.” Leibin recalls. Leibin fondly remembers one experience, “I met a Haredi guy who had come out. He began to speak about his identity and how he was rejected by the community. I had a lot of discussions with him, and we tried to build a bridge between keeping commandments and sexual identity.